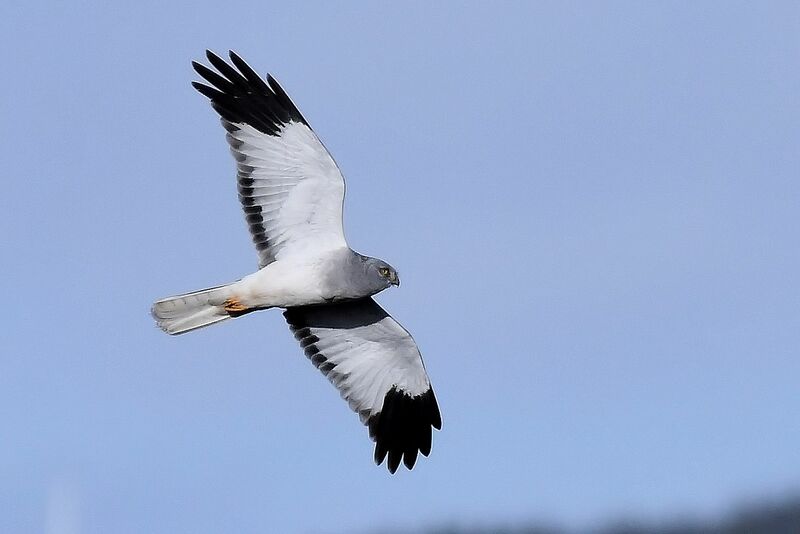 KINTYRE: Another great photo from Eddie Maguire – one of the male Hen Harriers frequenting the Laggan. COWAL: My garden in Bishop’s Glen now with 20+ Chaffinches, double figures of Goldfinches and Siskins and the occasional Redpoll still appearing, also 3 Bullfinch and 3 Jays have been regular in the snow (George Newall). MID-ARGYLL: I have no idea what I have just photographed! There was a large mixed flock in the field between me and Barsloichnach Farm – this white head instantly stood out. Is it some sort of juvenile hybrid? (James Lehmann). 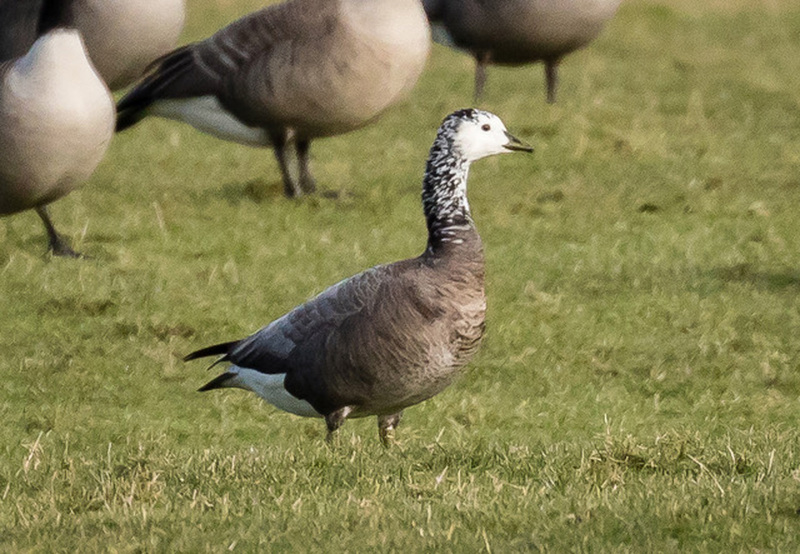 This is the odd hybrid goose that’s been around for a couple of months now….perhaps a mix of Barnacle and Canada? Hybrid goose – Barsloisnoch, Mid-Argyll 12th Feb (James Lehmann). 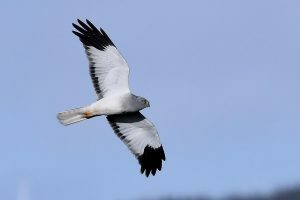 Hen Harrier – Bleachfield, Kintyre 12th Feb (Eddie Maguire).